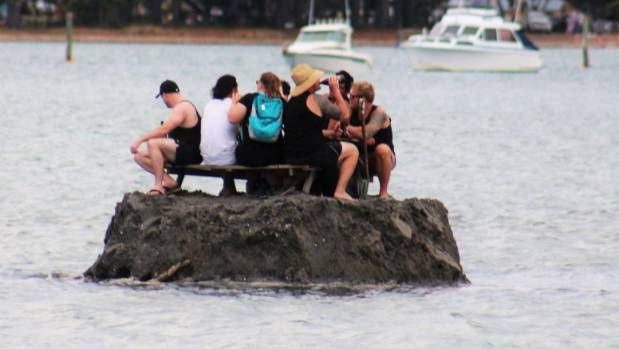 A group of crafty and somewhat genius New Zealand nationals have built a sand island in the sea to avoid a ban on drinking in public places. 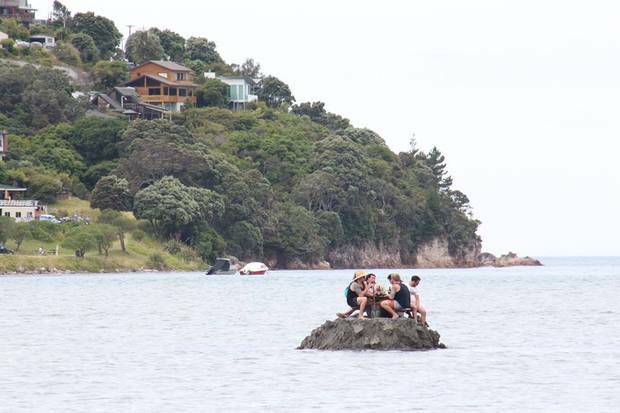 The group built the little island during low tide in the Tairua estuary on the Coromandel peninsula on Sunday afternoon, according to reports, before adding a picnic table and ice box for their drinks. Locals joked the group were in ‘international waters’ and therefore exempt from the ban. The group drank into the night on New Year’s Eve, watching the fireworks, reported New Zealand website stuff – and the construction was still intact on Monday morning. The ban on public drinking is in force in Coromandel over the New Year period and anybody found violating the ban will face a fine of $250 (£130; US$180). That’s creative thinking – if I had known [about it] I probably would have joined them. 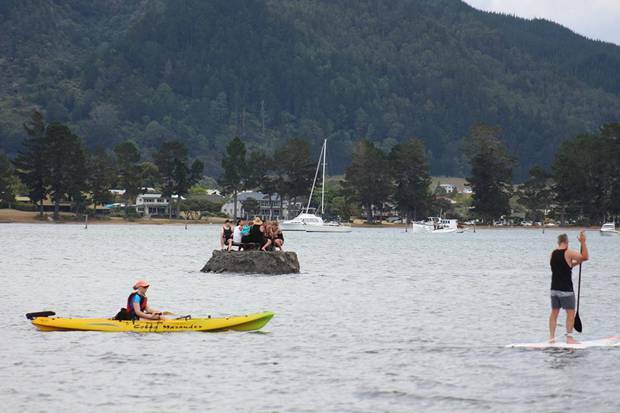 That’s the one thing I absolutely love about the Coromandel: the inventive nature of the people. It’s about creativity, the legal reality is somewhat different. They were dealing with drunk teens. That’s not what they are there for. That’s what parents are there for. The police and St John were getting frustrated with the result and said it has to change. It was great to see some Kiwis having a bit of fun.